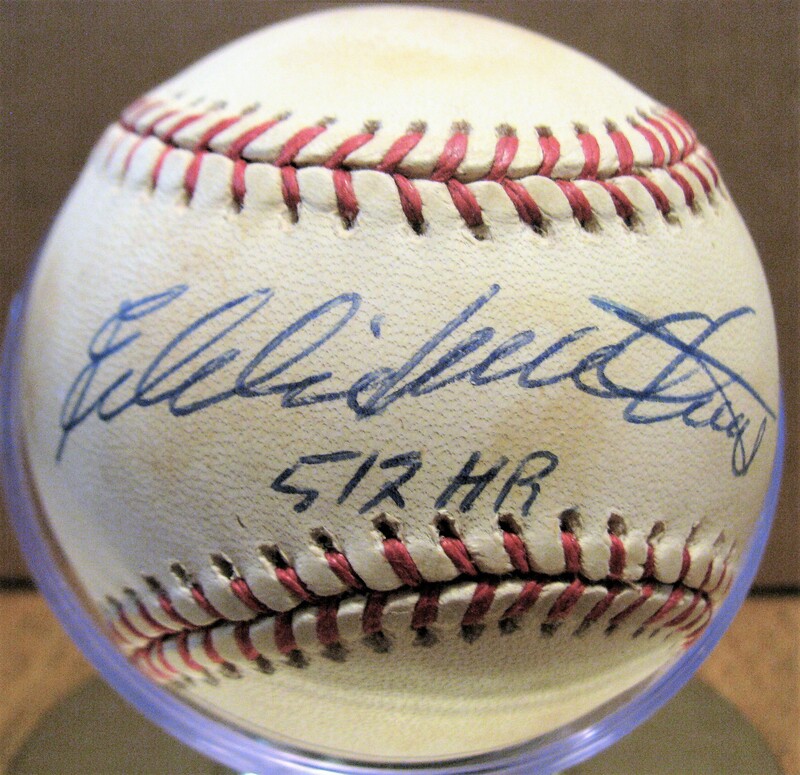 Eddie Mathews 512Hrs Signed Baseball. 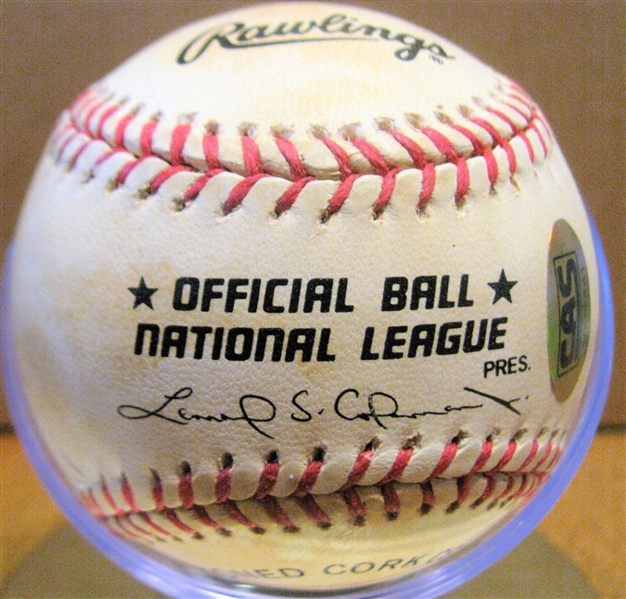 He signed in blue pen across the sweet spot of this Official National League Baseball. 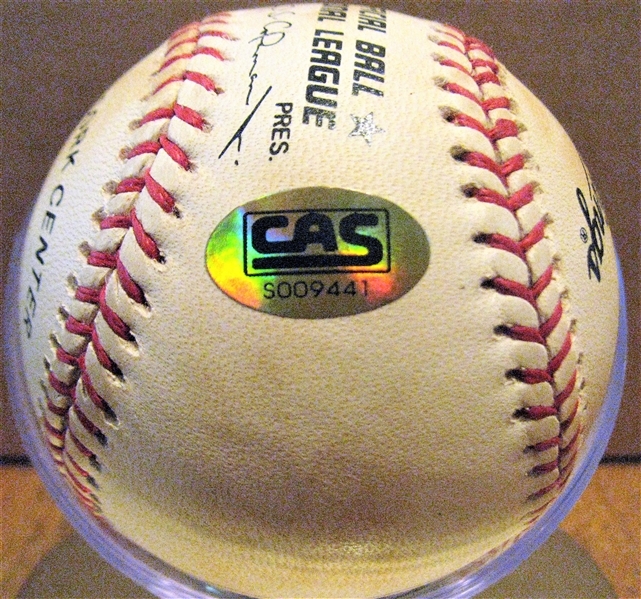 The ball has toning, but still displays nicely. It comes with a COA from CAS Authentications.